(Waltham, MA, May 18, 2017)— Adelphic, a self-service platform for cross-channel programmatic advertising, today announced the addition of viewability verification from Integral Ad Science (IAS), becoming one of the first DSPs to integrate these insights and make them directly accessible within their platform. 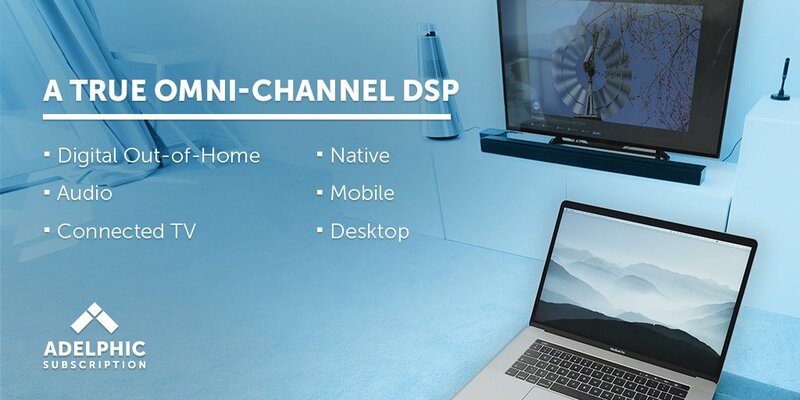 The offering is available omni-channel across all of Adelphic’s 25+ supply partners, allowing marketers to reach audiences via video, display and native on both mobile and desktop. Adelphic currently leverages IAS pre-bid data integrations for brand safety, viewability, fraud prevention and overall ad traffic quality verification, and with the addition of viewability verification can now offer a comprehensive targeting and measurement solution. With a streamlined workflow for programmatic advertising in a single self-service platform, Adelphic and IAS have closed the loop between targeting and measurement while reducing the number of steps needed to optimize campaigns. Following the integration with IAS, Adelphic has seen video viewability climb as high as 70%, a figure significantly higher than the 58% average found in IAS’ H2 2016 Media Quality Report. Adelphic now provides site-level viewability reporting on over a dozen reports available at the creative, exchange, and site level. This level of reporting granularity enables unrivaled verification and additional optimization. Adelphic is a leading people-based cross-channel demand-side platform. Adelphic provides an enterprise-ready self-service software solution for agencies, brands and other large media buyers to make meaningful engagements with consumers across all devices and formats. The company’s platform is fully RTB-enabled and delivers global scale through access to all leading inventory providers. Adelphic’s technology overcomes the limitations of user identification across all digital devices, yielding rich, nuanced portraits of real people, instead of cookies. Adelphic is owned by Viant, a subsidiary of Time Inc. (NYSE:TIME). Integral Ad Science (IAS) is a global technology and data company that builds verification, optimization, and analytics solutions to empower the advertising industry to effectively influence consumers everywhere, on every device. We solve the most pressing problems for brands, agencies, publishers, and technology companies by verifying that every impression has the opportunity to be effective, optimizing towards opportunities to consistently improve results, and analyzing digital’s impact on consumer actions. Built on data science and engineering, IAS is headquartered in New York with global operations in twelve countries. Our growth and innovation have been recognized in Inc. 500, Crain’s Fast 50, Forbes America’s Most Promising Companies, and I-COM’s Smart Data Marketing Technology Company. Learn more at www.integralads.com. The post Viant’s Adelphic Partners with Integral Ad Science, Closing the Loop Between Viewability, Targeting and Measurement appeared first on Adelphic. (NEW YORK, NY and IRVINE, CA, January 23, 2017)—Time Inc.’s (NYSE:TIME) Viant, a people-based advertising technology company, has signed an agreement to acquire Adelphic, a company that provides a mobile-first, cross-channel programmatic advertising platform. Adelphic’s self-service media planning and execution tools, including its ability to reach consumers across all screens and formats, will bolster Viant’s people-based data and analytics offerings. The deal is expected to close during the first quarter of 2017. As a pioneer demand-side platform (DSP), Adelphic’s global media execution capabilities, in combination with Time Inc.’s and Viant’s first-party registered user bases, will bring marketers and their agency partners the first people-based DSP capable of reaching more than 1 billion consumers worldwide. Forecasts suggest that programmatic digital advertising is growing rapidly and that more than 70 percent of digital advertising may be transacted programmatically in 2017, according to eMarketer. eMarketer also reports that 75 percent of mobile spending will be transacted programmatically. The move toward people-based solutions dominated by “walled gardens” left a gap across the open web, which generally focuses on proxies like cookies for user identification. The combination of Viant and Adelphic will deliver the first people-based DSP, powered by Time Inc.’s and Viant’s large, deterministic data set. Marketers can now manage reach and frequency across devices and channels with precision and scale, as well as measure true advertising impact by leveraging Viant’s ability to tie in-store purchases to real customers. Viant Technology LLC is a premier people-based advertising technology company, enabling marketers to plan, execute and measure their digital media investments through a cloud-based platform. Built on a foundation of people instead of cookies, the Viant Advertising Cloud™ provides marketers with access to over 1.2 billion registered users, one of the largest registered user databases in the world, infusing accuracy, reach and accountability into cross-device advertising. Founded in 1999, Viant owns and operates several leading digital ad technology and media companies, including Vindico and Myspace, and it is a member of the Xumo joint venture. In 2016, Viant became a subsidiary of Time Inc. (NYSE:TIME), one of the world’s leading media companies with a portfolio of iconic brands including People, Sports Illustrated, Fortune and Time. For more information, please visit www.viantinc.com. Adelphic is a leading mobile and cross-channel demand-side platform. Adelphic provides an enterprise-ready software solution for agencies, brands and other large media buyers to make meaningful engagements with consumers on the move. The company’s platform is fully RTB-enabled and delivers global scale through access to all leading inventory providers. Adelphic’s patented technology overcomes the limitations of user identification in mobile and across networked devices, yielding rich, nuanced portraits of real consumers. Founded in 2011, Adelphic is funded by Matrix Partners, Blue Chip Venture Company and Google Ventures. For more information, visit adelphic.com. For more information, please contact Greg.Giangrande@timeinc.com or Jill.Davison@timeinc.com, or to speak with a spokesperson for Viant, please contact Spark PR at viant@sparkpr.com. The post Time Inc.’s Viant to Acquire Adelphic appeared first on Adelphic. The ways that marketers can measure whether digital campaigns drove store visits are growing — and getting more powerful. Freckle IoT, which gleans mobile device proximity information from beacon data providers and directly through app and publisher partners, has struck a deal with five big platforms for programmatic ad sales that will let marketers track whether ad exposure boosted store traffic. The platforms are Adelphic, AppNexus, MediaMath, The Trade Desk and TubeMogul. Adelphic already lets ad clients use attribution measurement tags from other location data tracking firms including Placed, NinthDecimal, PlaceIQ, Factual and Foursquare, according to Adelphic CEO Michael Collins. But because much of Freckle’s data is derived from beacons — physical location sensors installed throughout stores, malls and other public venues — the information can be very granular and possibly more reliable than other common sources, such as mobile apps’ ad calls, he said. The integration of Freckle’s attribution measurement technology with some of the largest so-called demand-side platforms adds yet another option for advertisers to track whether their digital ads actually helped push someone toward a retail outlet, restaurant or other business location. The partnerships reflect a broader trend towards location data sharing on a grand scale across the ad ecosystem. The ability to verify digital ads’ impact, meanwhile, has only grown more important as questions about ad fraud and online metrics have recently grown. The Freckle attribution tag is triggered when an ad bid is made on one of the platforms, allowing Freckle to collect location data and a mobile ID associated with the targeted consumer. Because Freckle also has mobile device IDs gathered through its software development kit, which is embedded in mobile apps, the company can then compare IDs that were spotted when ads were served and those subsequently detected at a business address. “Where you have overlap on the ID is where you have attribution,” said Neil Sweeney, founder and CEO of Freckle IoT. When beacon data associated with a particular device ID is compiled over time, it can help form a vivid picture of someone’s spending behavior. In September, Freckle began disseminating its location data into Airpush’s mobile data marketplace, mobi.info, where companies can purchase precise device location information, including beacon data, encrypted email addresses, device identifiers and information showing which apps phones have installed and how frequently they’re accessed. As with the majority of mobile location data collection, Freckle’s app publisher partners require users to agree to share location data when they download the apps, or sometimes when location data is gathered after download. Many mobile apps, once they have this permission from users, collect background location data, which tracks the location of devices at all times, whether or not the app is in use, and often even when apps don’t need any location information to perform core functions. Freckle is shifting its data sourcing a bit to become “less and less dependent on the physical hardware of the beacon,” said Freckle’s Mr. Sweeney. The company has begun to create what it calls virtual beacons to help marketers measure what’s going on at competitors’ locations, he said. Virtual beacons work by gleaning data from devices running apps that include Freckle’s SDK. The company might mark thousands of locations associated with a fast food chain’s competitor locations, for example, and track when devices with the Freckle SDK show up in those zones. “We increasingly have brands saying to us… ‘I want to know data collection on Wendy’s, Burger King and Starbucks and I want their first-party data and I want to actually mine that data,” Mr. Sweeney said. To view this article in its entirety, visit AdAge. The post Programmatic Advertisers Get Even More Precise Consumer Location Data With New Pact appeared first on Adelphic. In another sign of native video advertising coming into the programmatic fold, native ad platform Sharethrough announced an integration Tuesday with mobile demand side platform (DSP) Adelphic. Sharethrough says it is the first of many forthcoming DSP integrations to support native video programmatically. Adelphic established its first native platform relationship with TripleLift in October when it launched its self-serve native campaign workflow. Buyers using Adelphic will be able to use it to bid on native in-feed display and video inventory on the Sharethrough Exchange. The API integration works from the IAB’s OpenRTB 2.3 standardization, which includes specifications for real-time trading on native ads in addition to display banner and video ads. “At Sharethrough, we believe that native ads are the only format that makes sense on mobile and that mobile is the future of the Internet, which makes integrations like these essential to drive our business forward,” said Alex White, VP of product marketing at Sharethrough. The company said that three-quarters of the ad impressions served through the Sharethrough Exchange were on mobile devices in Q3 2016. Of that, 77 percent of impressions were on the mobile web. “Native advertising will drive increased spend to programmatic channels as advertisers continue to see high engagement with their audiences and demand the scale and efficiency of RTB buying,” said Gina Kim, VP of business development at Adelphic. To view this article in its entirety, visit MarTech Today. The post Sharethrough adds its first DSP integration to scale native programmatic video with Adelphic appeared first on Adelphic. Adelphic, the leading mobile and cross-channel demand side platform (DSP), today announced a partnership with Integral Ad Science (IAS), the technology and data company that empowers the advertising industry to effectively influence consumers everywhere. Now in the Adelphic platform, customers can verify, optimize, and analyze their mobile-first and cross device ad campaigns using IAS’s solutions for pre-bid targeting across viewability, ad fraud, traffic ad quality, and brand safety. The need for third-party verification to ensure transparency for ad buyers has never been more apparent. 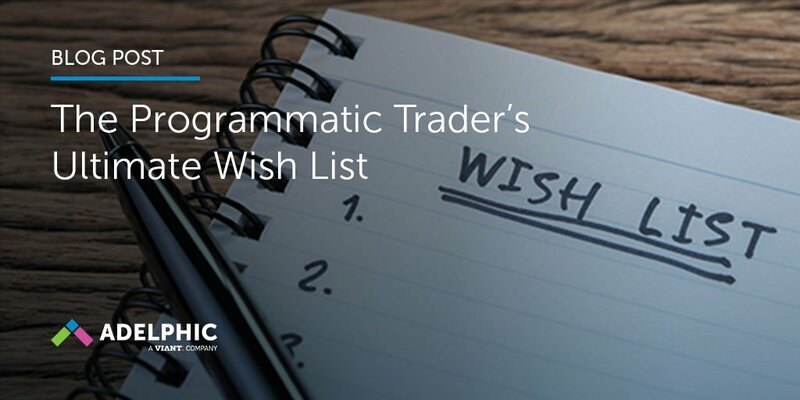 Both brands and agencies can leverage the efficiency of programmatic with the added assurance that their messages are being seen by relevant audiences in the U.S. and U.K. This is the sixth new partnership for Adelphic since June – building on their more than 40 inventory, data, and ad tech ecosystem integrations as they continue to expand both the depth and breadth of the platform. To view this press release in its entirety, visit PR Newswire. The post Adelphic Partners with Integral Ad Science to Unveil Pre-Bid Targeting for Cross-Channel Programmatic Ad Campaigns appeared first on Adelphic. Adelphic, the leading mobile and cross-channel demand side platform (DSP), today announced a partnership with TripleLift, the largest programmatic native technology company. Together, they will provide ad buyers access to native inventory sources across all display channels. Buyers will be able to leverage Adelphic’s leading targeting, optimization, and cross-channel capabilities to serve native image, video, and cinemagraph based ads in a fully self-serve workflow. Within the next five years, native advertisements will comprise nearly three-quarters of all display ad revenue in the U.S., driven in large part by innovations in programmatic technologies that make the format more scalable. Native delivers a better experience for consumers, which can drive marketers’ ROI. According to data from TripleLift, advertisers have seen up to a 100 percent increase in CTR, three-times higher brand awareness, and 250 percent higher engagement when using native as opposed to traditional display formats. TripleLift’s native ads create more meaningful user engagement and a better consumer experience. TripleLift serves non-intrusive ads within the flow of content, which ensures that there are fewer accidental clicks. This means Adelphic customers can be confident that their clicks are from real consumers with interest. With better and more integrated advertising experiences, consumers are not pushed to employ ad blockers. This is the fifth new partnership for Adelphic since June – building on their more than 40 inventory, data, and ad tech ecosystem integrations as they continue to expand both the depth and breadth of the platform. To read this article in its entirety, visit PR Newswire. The post Adelphic Partners with TripleLift to Unveil a Self-Serve Native Workflow appeared first on Adelphic. Adelphic, a mobile and cross-channel demand-side platform (DSP), on Monday announced a partnership with TripleLift, a programmatic native technology company. The partnership will provide ad buyers access to native inventory sources across all display channels. It will enable buyers to use Adelphic’s targeting, optimization, and cross-channel capabilities to serve native image, video, and cinemagraph based ads via a self-serve workflow. Within the next five years, it’s estimated that native ads will comprise nearly three-quarters of all display ad revenue in the U.S., driven in large part by developments in programmatic technologies that make the format more scalable. According to data from TripleLift, advertisers have seen up to a 100% percent increase in click-through rates, three-times higher brand awareness, and 250% higher engagement when using native vs. traditional display formats. TripleLift is known for serving non-intrusive ads within the flow of content, which ensures that there are fewer accidental clicks. The upshot is that Adelphic customers can be more confident that their clicks are from real consumers who have expressed interest. To view this article in its entirety, visit MediaPost. The post Adelphic Partners With TripleLift On Self-Serve Native Workflow appeared first on Adelphic.